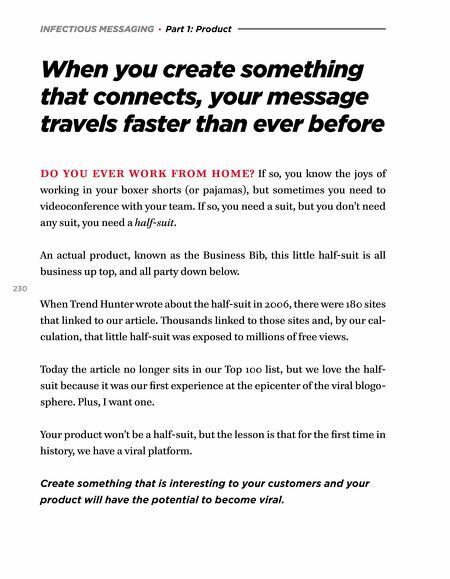 INFECTIOUS MESSAGING · Part 1: Product When you create something that connects, your message travels faster than ever before DO YOU EVER WORK FROM HOME? If so, you know the joys of working in your boxer shorts (or pajamas), but sometimes you need to videoconference with your team. If so, you need a suit, but you don't need any suit, you need a half-suit. 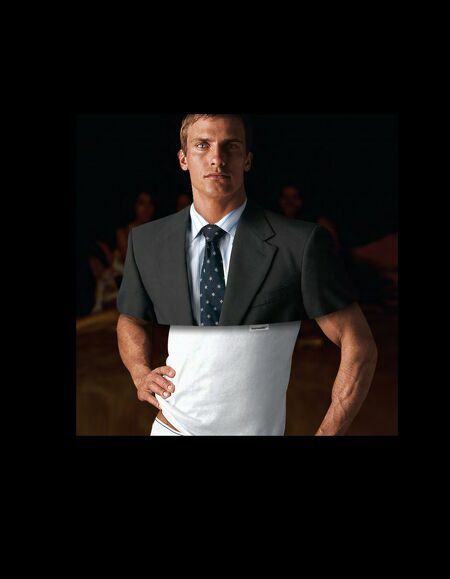 An actual product, known as the Business Bib, this little half-suit is all business up top, and all party down below. 230 When Trend Hunter wrote about the half-suit in 2006, there were 180 sites that linked to our article. Thousands linked to those sites and, by our cal- culation, that little half-suit was exposed to millions of free views. Today the article no longer sits in our Top 100 list, but we love the half- suit because it was our first experience at the epicenter of the viral blogo- sphere. Plus, I want one. Your product won't be a half-suit, but the lesson is that for the first time in history, we have a viral platform. Create something that is interesting to your customers and your product will have the potential to become viral.